What be the haps, my fellow Whovians? If you are one and you happen to be reading my article then you don’t have to reminded of what day today is. However if you one of those that are not in the know, today marks the 55th anniversary of the debut of one of the most iconic science fiction shows to ever grace our TV screens. Yes, Doctor Who first debuted on this date with it’s first ever episode “An Unearthly Child” in which the mysterious time traveling Doctor kidnaps to hapless school teachers named Ian and Barbara after they come to a junkyard in Totter’s Lane curious about unusually gifted student of theirs named Susan. Susan turns out to be the Doctor’s granddaughter, and after the teachers discover the Doctor’s remarkable traveling machine, The Tardis, the Doctor has no choice but to flee with the two teachers in tow. And since that day, the adventures of the Doctor, who has since been defined as a Time Lord from the Planet Galifrey who can regenerate his body allowing different actors (and actresses) to play the role, has been world renowned, treasured by fans everywhere as a true icon of pop culture and an integral part of our collective science fiction landscape (with the Daleks and the Tardis also being inseparable from this shared mythos). 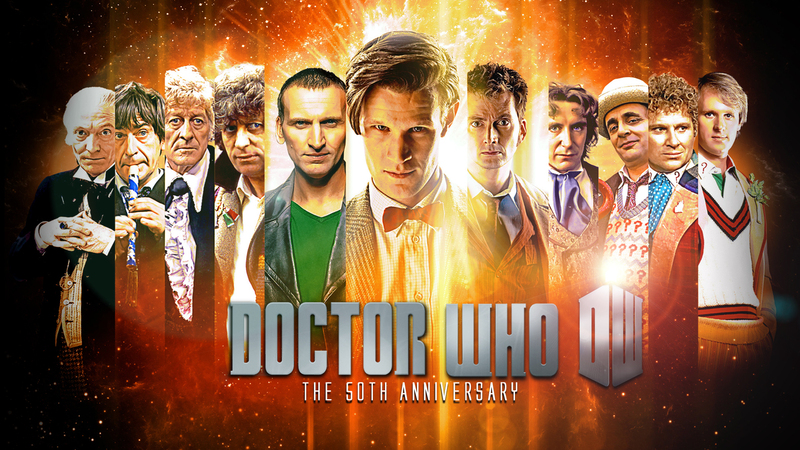 So there was no doubt that as a long time fan of the show, especially of Classic Who, that I would be celebrating this anniversary with a review of a Doctor Who story. 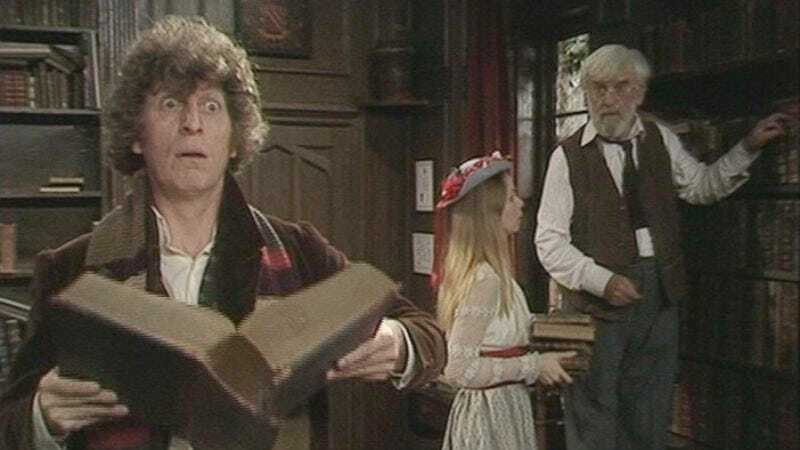 But, I decided not to do just any story, but one that was recently released on DVD here in the States with some pretty fantastic extras: the previously unfinished 4th Doctor story “Shada”. Again for those non Whovians out there, the story behind this failed Tom Baker adventure which was supposed to be the season finale of Season 17 is quite a good in itself. Penned by a “little known” writer by the name of Douglas Adams (yes, the Hitchhikers Guide Guy) during the season in which he acted as script editor, this story was originally supposed to a tale about the Doctor retiring from his adventures. 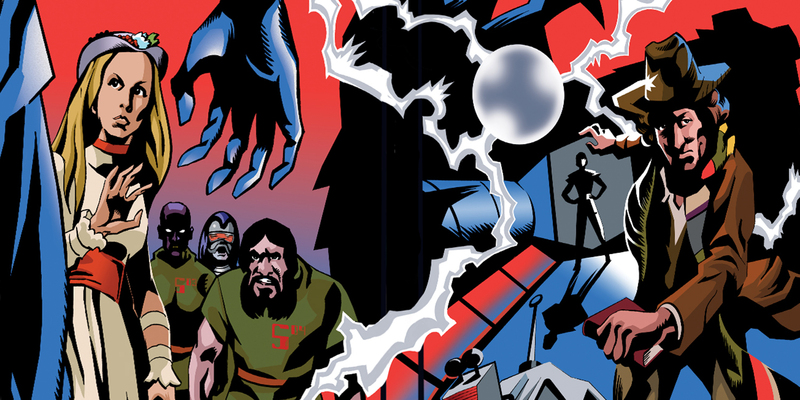 However, producer Graham Williams put the kibosh on the idea and wanted to explore instead the notion of what Time Lords did with their prisoners in hopes of sparking conversation about the death penalty. Thus a story about a retired Time Lord named Professor Chronotis who was posing as Cambridge Professor, a mind stealing sphere, and the secret prison planet of the Time Lords, Shada, eventually came into being. Ultimately though after only about 50% of the 6 episodes worth of footage was shot, the production ran afoul of a long-running technicians’ strike at the BBC. Although it was over by the onset of rehearsals for the another recording session, the studio time was redirected to other higher-priority Christmas programming, leaving the serial incomplete. Thus, unlike some of the 1st and 2nd Doctor stories that I mentioned in previous article that were incomplete, because the BBC junked those recordings, this one was never completed in the first place. And for a long time, it was thought for the best. Despite it being a 4th Doctor adventure, who is arguably the most famous Doctor of all time, Douglas Adams thought it was a poor story and resisted pleas to have it reworked at various times. (Although Chronotis and some ideas found their way into Adams’ novel Dirk Gently’s Holistic Detective Agency). Also some bits and pieces of the story appeared in the 20th Anniversary Special “The Five Doctors” showing the Doctor and Romana punting on the Thames, but that was only after Tom Baker declined to be a part of the special, and the unaired footage was only used to fill in a gap in the story. 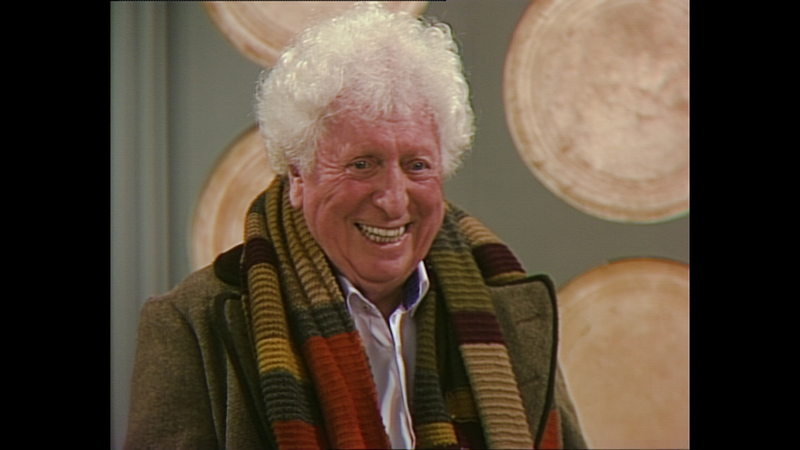 Still that short appearance was enough to get some fans interested in seeing what the rest of the story looked like and several years later, all of the available footage was cleaned up, basic effects added, and was released on VHS with Tom Baker narrating the missing bits. Even as someone that was just getting into Doctor Who at the time and was hungry for more Tom Baker, I was somewhat disappointed by that VHS when I got it in high school. I had already seen some of the good bits thanks to the Five Doctors Story, and all the actual bits that happen on Shada itself were never filmed so once it hits like episode 5, there’s barely any footage and it’s just Tom Baker talking. And this was the way it was for many years, until 2003, when Big Finish who had made a name for themselves producing fantastic direct to CD radio plays of original Doctor Who stories using former Doctors (of which I’m a HUGE fan), decided they wanted to record Shada again as an audio play from begining to end with some of the original cast. Of course, Tom Baker (who wasn’t invovled with Big Finish at the time) declined, and so it was rewritten with the Doctor being played by Paul Mcgann. Now that should have made me angry, but Paul is also one of my favorite Doctors so I didn’t mind as I would have otherwise. 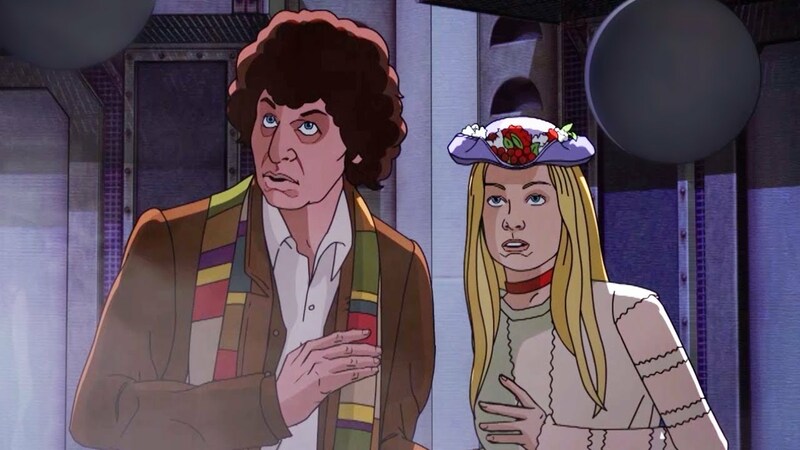 Still it did stick in my craw a bit that despite getting Lalla Ward to come back as Romana, Shada was still “incomplete”, a pale imitation of what could have been. However, fast forward another 15 years, and time has a way of sorting things out. Tom has been doing Big Finish audios for a while now embracing his famous role in his elder years, and more importantly he’s finally started doing some of them with his ex wife, the aforementioned Lalla Ward. Time does have a way of mellowing people and putting things in their proper perspective, especially in face of the unexpected and tragic deaths of some of Tom’s other TV companions like Elizabeth Sladen (Sarah Jane Smith) and Mary Tamm (Romana I). I was so overjoyed to see those two somewhat bury the hatchet and come back together some really fantastic stories with my all time favorite Tardis team of the 4th Doctor and Romana II. And the one of the benefits of all that is that they finally recorded all of the missing bits of Shada with the original actors! And that’s what we are reviewing today. The results of an effort to complete the serial officially, using newly recorded dialogue from the original cast and new animated footage to complete the missing segments by the same team that undertook the 2016 animated edition of the 1966 serial The Power of the Daleks. The only question is: Did this restoration effort finally give me a Shada that I could definitely say was complete? I guess the short answer is yes. I mean it’s at least as complete as it will ever get. There is no real Tardis. No one can really go back in time and stop the labor strike just a couple weeks early so that the remaining footage could have been shot. So getting both Tom and Lalla to reprise their roles and record the missing audio which is then laid over animation to fill in the missing bits is probably the best we are ever going to get. And about that animation, I’ll be honest that I was less than thrilled to put it mildly when I heard they had hired the same production company to do it as was used to animate Power of the Daleks. I mean Power of the Daleks was a real let down in the cartooning department. Everything except for the Daleks themselves looked jerky and more like cardboard cut outs of real people instead of the nice fluid animation we expect from a half decent rendering. Plus it was all wide-shots and close ups which was pretty unoriginal given the developers had only limited telesnaps to go by which means they could have used their imaginations to fill in the gaps. I remember getting so frustrated at times with that show that I had to watch the Cogsgrove Hall interpretation of the other missing 2nd Doctor story “The Invasion” just to remind me that quality stuff could be done and I wasn’t just being overly critical. However, with Shada, whether it was the lack of any preexisting footage whatsoever for these missing bits or what, it definitely looked at the very least the animators took some artistic liberties and composed interesting looking sequences. The cameras pivot more around the animated actors, the movements seem a little more fluid, and the color and shading more competent. I mean it’s no where near the quality of animation you’d get from a Disney picture or even some anime series, but it’s serviceable and does drive the story along fairly well. Plus as I’ve always said with any of the Big Finish audios, the important thing is capturing the original actors voices. After you have that, you can always animate and reanimate over the voice track as many times as you want. Not that again, I would say you need to here. Some of the running around bits look a bit stiff, but overall the faces look good and it’s definitely a step up from the stuff we saw in Power of the Daleks. However I did like the fact that the production crew took a stab at including some practical special effects with the animated sections, like showing a live actor version of the Doctor crawling across the Time Vortex between Professor Chronotis’ Tardis and his own after the villain steals it. It’s a scene very similar to the one that appears in the story “Horns of Nimon”, which will always have a very soft spot in my heart as it was one of the first Doctor Who stories I ever watched as a teenager. Plus of course there was the ending which was a real treat for any Doctor Who fan as *spoilers* Tom Baker puts back on his old costume and with the help of the actual Tardis console set used during that era and a K-9 delivers a wonderful line about meeting the Doctor 200 years from now and commenting “He seemed such a nice old man”, while his big toothy grin and mischievous twinkle in his eye. It makes me so happy to see the man who made Doctor Who so beloved for fans worldwide embrace his legacy in his old age, giving all of us some great reminders of why we fell in love with his version of the character so many years ago. I will say though that in some ways now that I’ve seen the story of Shada from beginning to end, that there are some disappointing aspects of it that now only have come to light. For one, the plot is somewhat rubbish, and it’s no wonder Douglas Adams thought better of revisiting it. I thought that once I saw some of those missing bits with the Shada prison and everything I would gloss over the major plot holes, but nope they are still there. The villain wants to find Shada so his sphere can absorb the mind of a Time Lord named Salyavin who had the ability to imprint his mind on others. In that way, the sphere can not only remove a being’s mind but then transplant it with the villains’ mind. The issue with this is that HE DOESN’T NEED TO FIND SHADA TO DO THIS! Salyavin’s mind is absorbed in the first or second episode already when the sphere attacks Professor Chronotis, who in the big reveal ends up being Salyavin all along! So the Sphere already had this power from like from the beginning of the story! So why didn’t the villain know and use it from the start?!? ARRRAGHHH! In the end, Shada is still a Tom Baker story, and he’s my favorite Doctor of all time, so any chance for me to see an adventure with him and Romana is a welcome thing. Plus with this story in my collection I feel like I finally have a worthy version of it to complete my 4th Doctor portion. No more of these half baked/half finished ones. No sir, this version of Shada fits perfectly with the rest of my Season 17 with all it’s goofy campy fun! Regardless of some of my gripes with the animation and the plot, it’s still a worthwhile addition for any Whovian to pick up and watch some snow bound weekend this winter. Plus it’s only like 3 bucks on Amazon Instant Video right now to own. You just have to buy “Episode 1” only, not the entire season for $9.99. Trust me, “Episode 1” is actually the entire Shada story, the rest of the “epsiodes” are just behind the scenes stuff to inflate the price. That’s like the price of a McChicken and a large fry or one Starbucks drink. Certainly some classic 70s Who is worth that!